A US raid this week on an illegal weapons cache allegedly belonging to former jihadi leader Jan Mohammad – a close ally of Afghan Chief Executive Dr Abdullah Abdullah – has exposed the dangerous presence of warlords in the conflict-ridden country. 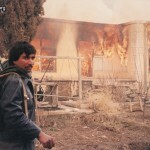 Since American fighter jets blew up the arms depot at Charikar, the capital of Parwan province on June 29, Afghans have been seeking an explanation as to why pro-government warlords have stored such huge caches of arms, especially in the north when the country has nearly 350,000 security personnel. The fear is several ruler-backed warlords like Mohammad, a leader of the Jamiat-e-Islami party, with hidden arms and ammunition dumps. The warlords’ attempt to hide weapons is seen as sheer disregard to the disarmament programme. The process of disarmament, demobilisation and reintegration and the Disband Illegally Armed Groups programmes had been initiated after the collapse of the Taliban government through the Afghanistan’s New Beginnings Programme. While these programmes can be seen as successfully having achieved their mandate, the major challenge that remains is the disarmament of unofficial militias often associated with warlords and politicians. The sad aspect of the entire drama is Dr Abdullah’s purported support for the warlord. 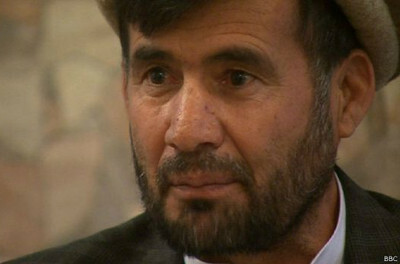 Hours after the air raid, the chief executive rushed to province where the attack had occurred to show his support for Mohammad, who was one of his main supporters during the presidential elections. Abdullah also wanted to cool down the anger of the warlord’s supporters who had also reportedly chanted slogans such as “Death to Abdullah”, according to sections of the Afghan media. Several other leaders of the Northern Alliance also travelled to Parwan in a show of solidarity with the warlord. Javid Faisal, deputy spokesman for the chief executive, said an explanation had been sought from the foreign forces as to why their jets struck the arms depot. Many in Afghanistan believe warlords associated with the Northern Alliance had received and are still receiving weapons from Russia. Political analyst Hashmat Ghani Ahmadzai told Shamshad TV he was in Russia last month where he had received information that weapons were on their way to Afghanistan. The Hizb-e-Islami group also believes that Russia has kept supplying arms to the Northern Alliance because of its longstanding relations. “Russia has been providing arms to the Northern Alliance since long and there is no break in arming the Northern Alliance,” the faction’s spokesman Haroon Zarghoon told The Express Tribune. He recalled a top Northern Alliance commander General Mohammad Daud Daud, a former guard of Ahmad Shah Masood, had received 90, 000 Kalashnikovs when he had visited Russia during the tenure of Hamid Karzai. “Dr Abdullah and his team are making a hue and cry as they have serious apprehensions now at possible strikes on other illegal and hidden arms caches,” said Zarghoon. Although President Ashraf Ghani is silent over the US raid, some believe the US conducted the raid with his consent. The police chief of Parwan province, Zaman Mamozai, is reported to have said the operation was coordinated with local authorities. Ghani is also under mounting pressure to investigate if any other warlord has stored illegal weapons. Members of Parliament are also critical at the storage of weapons by warlords and a parliamentary committee has been formed to investigate the incident, Afghan media reported. Shinkai Karokhail, an MP, said the government should question why the warlord had kept weapons illegally and also who had allowed him to do so, the Afghan Islamic Press reported. 30.05.2015: Breakthrough, or will it boomerang? In Afghanistan, around 500,000 people remained internally displaced by the end of October 2012.